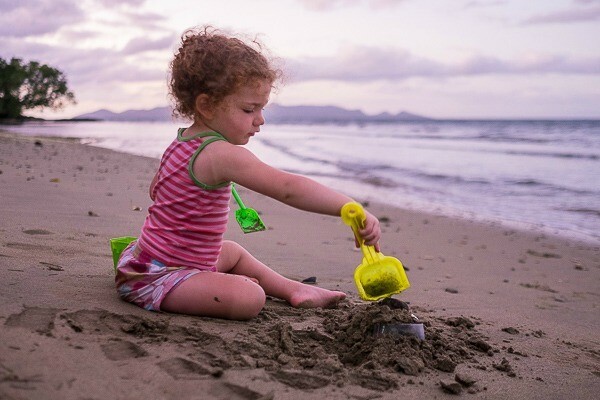 Recently Babyology’s Ben, Mandi and their three daughters ventured to Fiji for a bit of an escape and a chance to reconnect as a family. 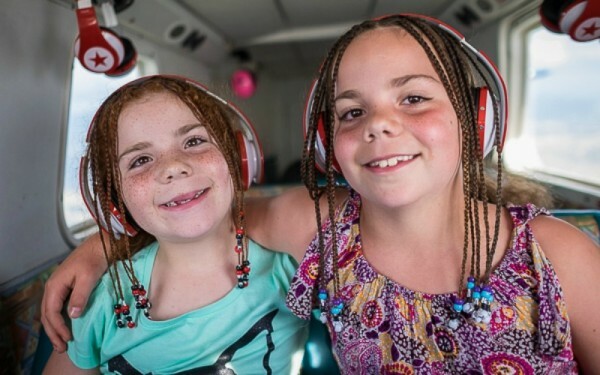 Their littlest one, Audrey, had just spent two weeks in hospital with an infection and they were all feeling drained and a bit down. 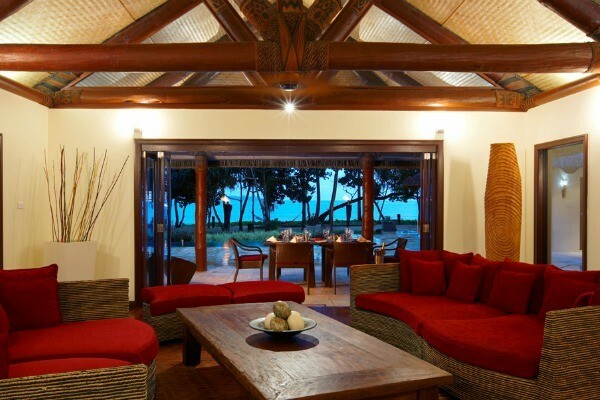 They selected the Nanuku Auberge Resort Fiji, a stunning beachfront resort set along the coastline of Fiji’s main island Viti Levu. 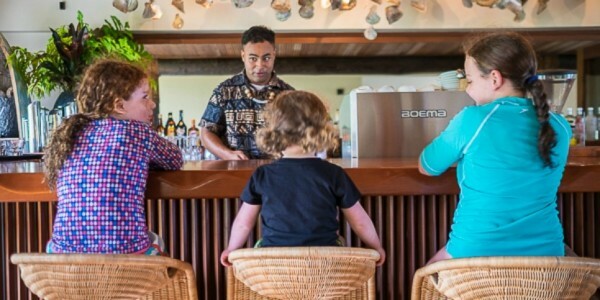 And, if their video footage and photos are anything to go by, it’s no wonder the Nanuku Resort is considered a South Pacific paradise. 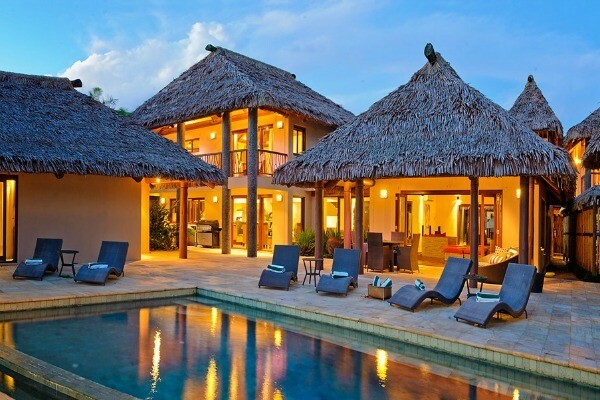 Combining contemporary luxury and traditional Fijian culture, the Nanuku Resort offers accommodation in 18 Balinese-style suites and villas. 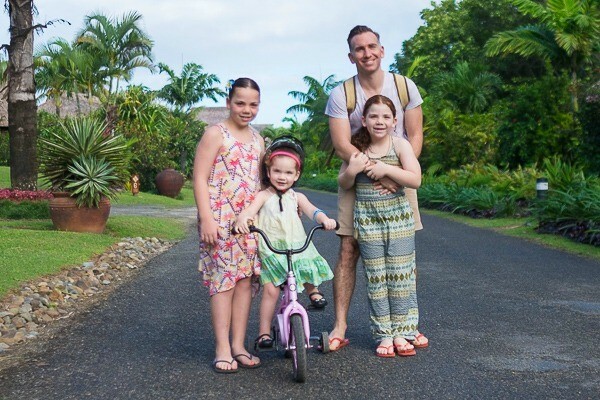 Ben, Mandi and the girls were treated to the Beachfront Grand Pool Villa, with a Fijian style design, private outdoor shower, yoga pavilion and yoga mats and a golf cart and bikes to travel around the island. 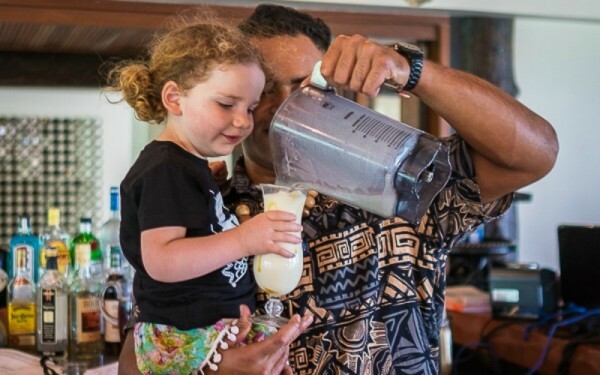 But, perhaps the highlight of the incredible eight-person villa, which overlooks the white sandy beach and offers all-inclusive dining, is that each villa comes with a Mama, Buddy and Nanny service! Vila Mama was their own private butler and as Mandi tells us, this was quite an awesome luxury. With Villa Mama taking care of things around the villa, Villa Buddy was in charge of escorting the family on excursions. He took them kayaking, to the beach, into the town shopping, and diving with sharks. The Villa Nanny was also available all day and kept the girls laughing and entertained the entire time. There were several other families holidaying at the same time and thus the girls were coming and going from one villa to another, with their wonderful nanny close behind. 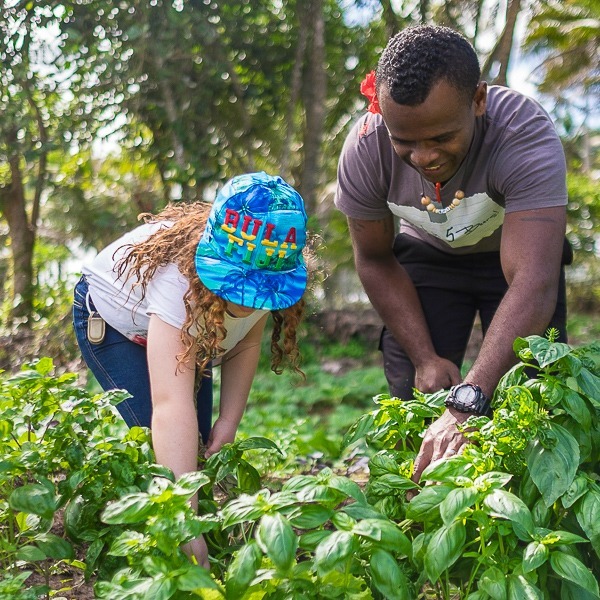 There were plenty of activities around the resort including fruit picking, pizza making, smoothie making, fishing and movie nights plus more extreme adventures like sailing, surfing, snorkelling and zip lining. “The girls loved it all, but fruit picking with Villa Buddy was definitely one of their favourite activities,” Mandi admits. 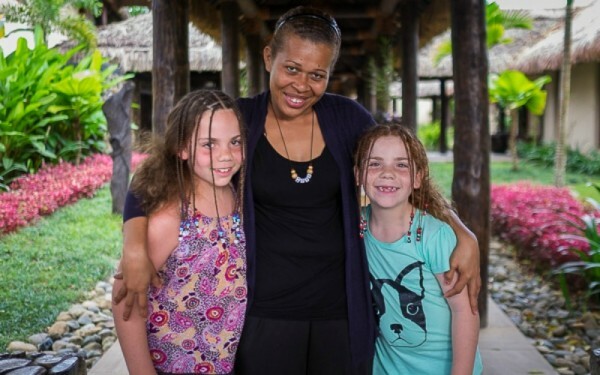 With the kids happily entertained, Mandi was free to indulge in her own rest and relaxation which involved the Royal Coconut Milk and Honey Firming Ritual, a 90 minute hydrating coconut sugar exfoliation followed by a warm stone massage with coconut milk and honey body butter. Another added benefit to the spa treatment is that the rooms are located outside, so you can hear the ocean as you indulge in a massage. 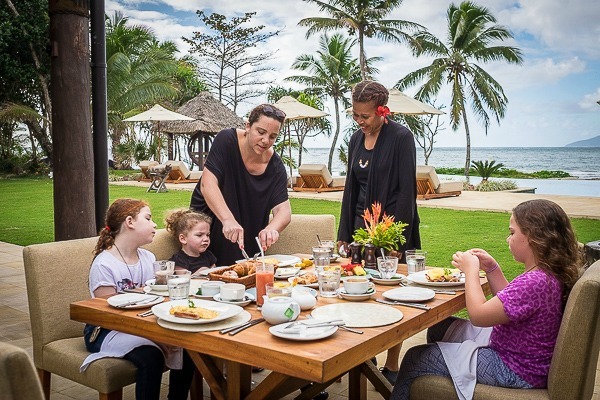 If you are on the hunt for a summer escape with the family, take it from our resident travel experts at Babyology – Nanuku Auberge Resort Fiji ticks all the boxes!